Home Boxing Rizin Published Ruleset/Trailer For Floyd Mayweather Vs Tenshin Nasukawa! It is official – Floyd Mayweather returns to the boxing ring on December 31st, 2018. Yet, it will only be an exhibition. “Money” meets Japanese kickboxing rising star Tenshin Nasukawa. ESPN was the first to publish the news. Both fighters were present on Thursday at Mayweather’s boxing club in Las Vegas for a media day. The match will be held under straight boxing rules, in Saitama Prefecture Super Arena in Saitama, Japan, with the capacity of 37,000 seats. The fight will be conducted under a weight of 147 pounds. Three rounds of three minutes are planned, while both fighters will wear 8-ounce Rizin gloves. It is an exhibition, so it won’t affect fighter’s official boxing/MMA records. There will be no judges too. Check the picture below for a detailed explanation. Let’s remember, the news of Mayweather Vs Nasukawa fight was officialy announced at Rizin 14 press conference. 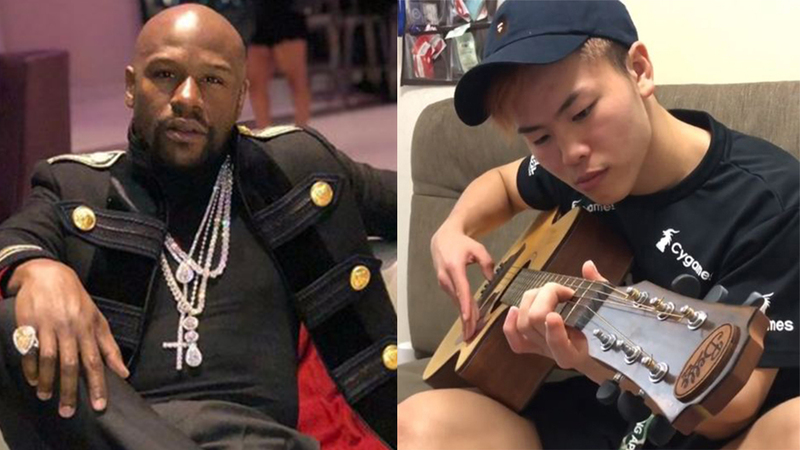 But upon his return to the USA, Floyd Mayweather said he won’t fight Tenshin Nasukawa because “he had never agreed to it”. Finally, the match was put back on track, when kicking was prohibited. Floyd Mayweather claims he wants to entertain fans. He adds he’ll enjoy the match too. “This is a great way for me to go out there and give people some entertainment,” Mayweather said. “It’s an exhibition match, but it’s giving me a chance to do something different. I love competing against fighters from all walks of life like in my amateur days. It’s all about entertainment. Nine minutes of entertainment. It’s going to be amazing. Floyd Mayweather had his last match versus UFC legend Conor McGregor on August 26, 2017, whom he defeated via tenth-round TKO. Before the Irishman, “Money” boxed Andre Berto on September 2, 2015, and won via unanimous decision. Tenshin Nasukawa can’t use his brutal kicks. Yet, he is excited about the boxing match. The Japanese rising star believes he is faster than Floyd Mayweather. “The fight is very close and I’m training hard every day to face Mayweather and leave a mark,” he said through an interpreter. “This is a great opportunity and we’re happy to take it. I’m going to put everything out there and show my strengths. I think that I’m the faster fighter. I’m going to use my weapons against him. There’s never been a Japanese fighter to face Floyd Mayweather in the ring. As an athlete, this is something that’s a great honor and a challenging task. I’d like to make a big impression. Oh wait a second, that’s not everything! Rizin also announced a trailer for Floyd Mayweather Vs Tenshin Nasukawa! Look at the video below! What are your thoughts on this? Do you expect a world-class entertainment from Floyd Mayweather Vs Tenshin Nasukawa boxing match? Previous articleKamaru Usman Wants Colby Covington Instead Of Title Shot Next! Next articleKhabib Nurmagomedov Advises Female Fighters To “Finish Husbands At Home”!